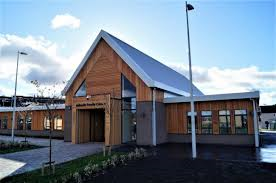 17/5/18 A teacher from St Marks will visit Arthurlie Family Centre for both morning and afternoon sessions. 31/5/18 St Marks school induction. Parents/carers take children and stay for an information session. Nursery staff do not attend this. 4/6/18 Family Bookbug session at Arthurlie Family Centre for children going to St Marks. Come along to meet other children and parents going to St Marks. Roslyn Graham our Family First worker will be joining us too. 7/6/18 St Marks school induction. Parents/carers take children and stay for an information session, lunch is included. Nursery staff do not attend. If your child does not attend nursery on these dates they can attend the transition groups. A parent or carer should bring your child to the group and collect them afterwards. 9/5/18 A teacher from Hillview will visit Arthurlie for both morning and afternoon sessions. 24/5/18 Hillview school induction, parents/carers take children and stay for an information session. 31/5/18 Hillview school induction, parents/carers take children and stay for an information session. 5/6/18 Family Bookbug session at Arthurlie Family Centre for children going to Hillview. Come along and meet other children and parents going to Hillview. Roslyn Graham our Family First worker will be joining us too. 11.5.17 A teacher from Carlibar will visit Carlibar Family Centre for both morning and afternoon sessions. Children at Arthurlie Family Centre will be taken to this by nursery staff. 22.5.17 Carlibar school induction; parents/carers take children and stay for an information session. 31.5.17 Carlibar school induction; parents/carers take children and stay for an information session. 6.6.17 Family Bookbug session at Arthurlie Family Centre for children going to Cross Arthurlie, Carlibar and St John’s schools. Come along to meet other children going to these schools. 8/5/18 A teacher from Cross Arthurlie will visit Carlibar Family Centre for both morning and afternoon sessions. Children at Arthurlie Family Centre will be taken to this by nursery staff. 4/6/18 Family Bookbug session at Arthurlie Family Centre for children going to Cross Arthurlie, Carlibar and St John’s schools. Come along to meet other children going to these schools. 12/6/18 Cross Arthurlie school induction, parents/carers take children and stay for an information session. 13/6/16 Cross Arthurlie school induction, parents/carers take children and stay for an information session. 9/5/18 A teacher from St Johns will visit Carlibar Family Centre for both morning and afternoon sessions. Children at Arthurlie Family Centre will be taken to this by nursery staff. 4/6/18 St Johns school induction, parents/carers take children and stay for an information session. Lunch included. 6/6/18 Family Bookbug session at Arthurlie Family Centre for children going to Cross Arthurlie, Carlibar and St John’s schools. Come along to meet other children going to these schools. 11/6/16 St Johns school induction, parents/carers take children and stay for an information session.